It's been awhile since I've linked up to a sketch or colour challenge...but this sketch from Less is More inspired me. 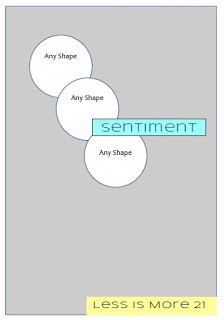 I did tweaked it a little by making the sentiment round - the original quote I wanted to use covered too much of the circles. Otherwise I pretty much followed the sketch. I used Ink Road Stamps - Full Circle (love this set!) and because I've been using gold embossing powder way too much I decided to go with something a little less subtle...if glitter counts at subtle? 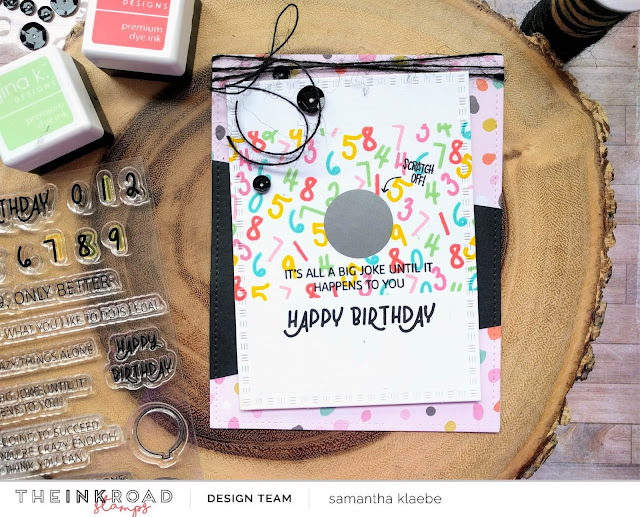 The overlay circle stamps are embossed with WOW - Cloud9 embossing powder and to finish the card off I added a few My Little Paper World sequins. 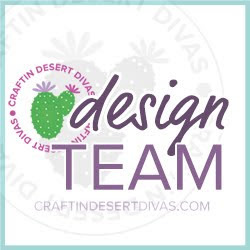 Craftie Cafe: Vroom Vroom PARTY! Today’s blog is all about PARTIES! A couple of weeks ago my little man turned 5! Tears put aside…. (where on Earth did those 5 years go!)... I had a party to get ready for! 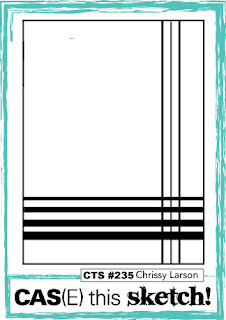 Now…I always create my own invitations – I use word to create my own layout (though there are a few really nice invite stamps available) and I always add a stamping element to them. 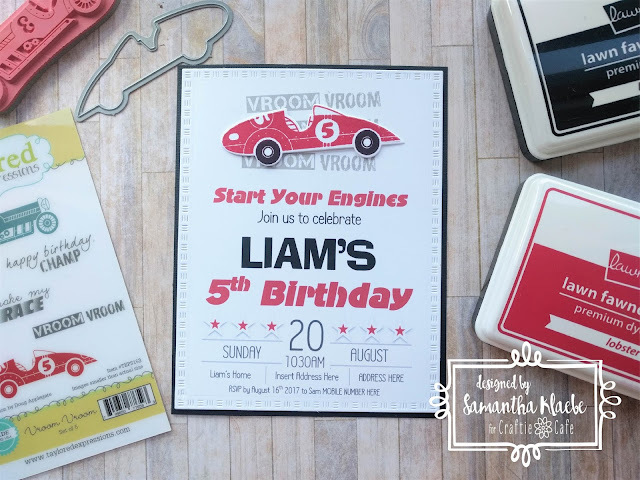 This time I used Taylored Expressions: Vroom Vroom – because both my boys love anything car/motor/vehicle related and BONUS it has a little ‘5’ on the car! Double BONUS: The second car happens to have a ‘3’ on it and guess who has a third birthday in October! I first decided to stamp the car in red (red cars go fast!) – I was pretty excited, I had to show them to my boys and the first thing he said to me was “you can’t have red wheels they need to be black…” Back to the drawing board – masking paper! A couple of weeks ago I had a awful cold - in fact I still don't feel 100% better but during those few days (where I needed to carry a tissue box everywhere I went!) I really just wanted to have a little me time (did I mention - the kids and hubby all had the same thing...). I really wasn't in the mood for thinking and since the kids were waking up frequently during the night I also wanted an early night...I decided to pull out one of my Simon Say's Stamp cards kits and have a play. I actually made quite a few cards - though I did end up calling it a night and finishing a few more over the following few days. Here are the cards using SSS - August kit of the month. 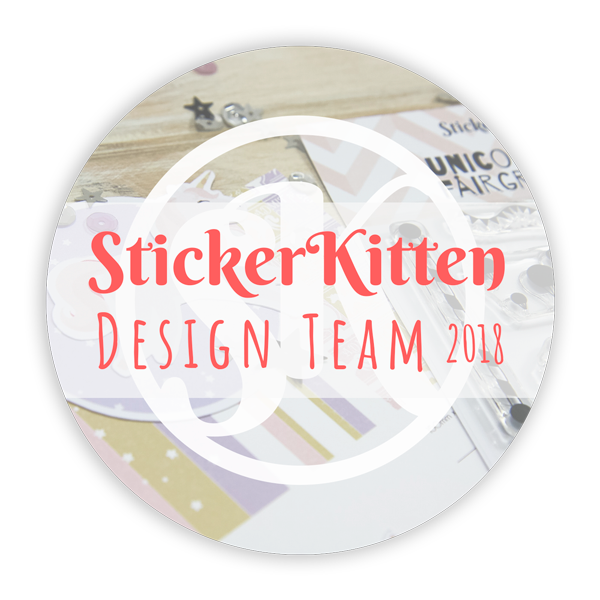 In all honesty I think this stamp set and sticker are well suited for a scrapbook page - but I managed to pick a few of the stickers and work them in to these thank you themed cards. Back again! Sharing another Ink Road Stamp card I created. This time I'm using stamps set: Just a Number. This was a fun card to create - I used a whole bunch of colours to create a numbers background and decided I would also make it a little interactive by adding some 'scratchy' stickers. Here are the two cards but for further details you can also check them out on the Ink Road Stamps blog here. 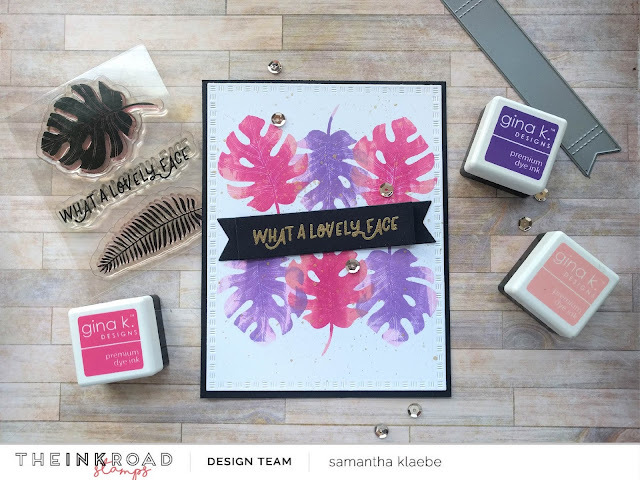 Ink Road Stamps: Blog Catch Up &...a card or two! I've been unwell with a nasty cold which I caught from the kids - but I'm on the mend and catching up on some much needed blog updating! Today I'm quickly sharing two cards I created for Ink Road Stamps. I'm using the stamp set Frond of You - which is probably one of my favourite sets from their first release! 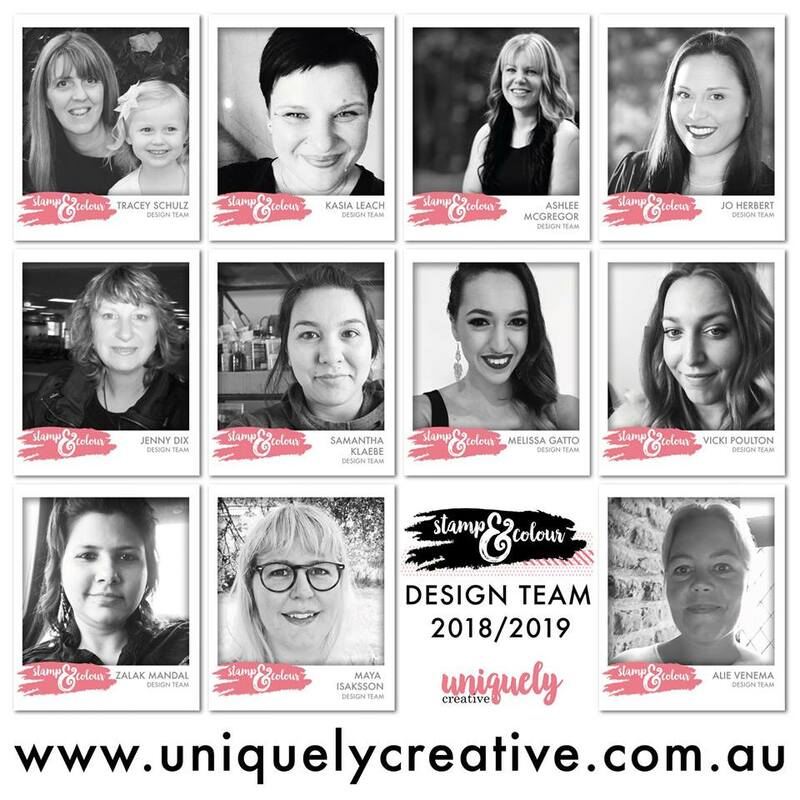 Here is the direct link to their blog post which has a few extra details - otherwise the cards are below for your viewing along with a video tutorial on how I created the second card! 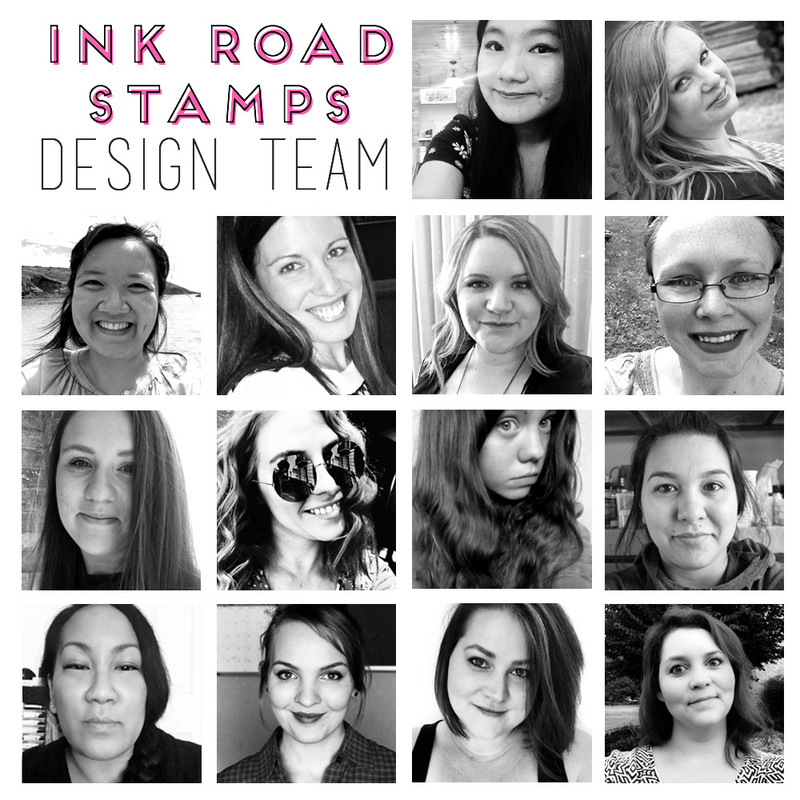 I'm super excited to also share that the second release of Ink Road Stamps are on their way to me via snail mail. So stay tuned for some more inky fun! Happy Crafting and have a wonderful weekend! 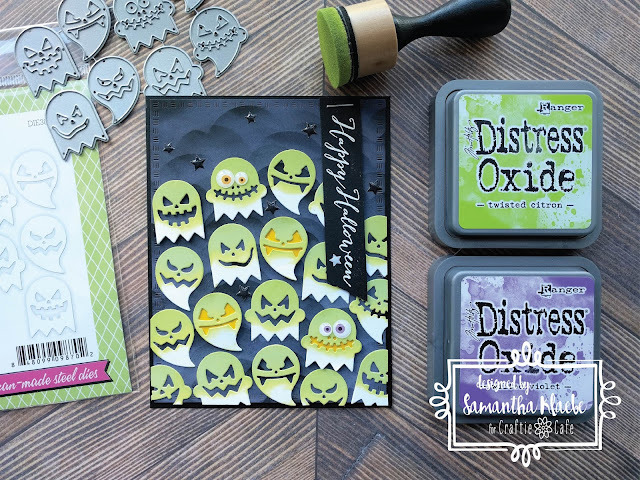 Craftie Cafe: Happy Halloween with Ghosties! Let me just say – I do not celebrate Halloween (though I may or may not buy and snack on a few of the jumbo sized candy bags that become available in the lead up towards it.) But … Halloween seems to be gaining popularity here in Australia and let’s be honest I’m not going to pass up an opportunity to work with Halloweens awesome colour scheme - oranges, purple and black! I've recently been purchasing a few new stamps from new stamping brands that seem to be popping up everywhere! The Stamp Market was one on my list - and their latest release pushed me over the edge - I just had to have them! They arrived very promptly (surprisingly! 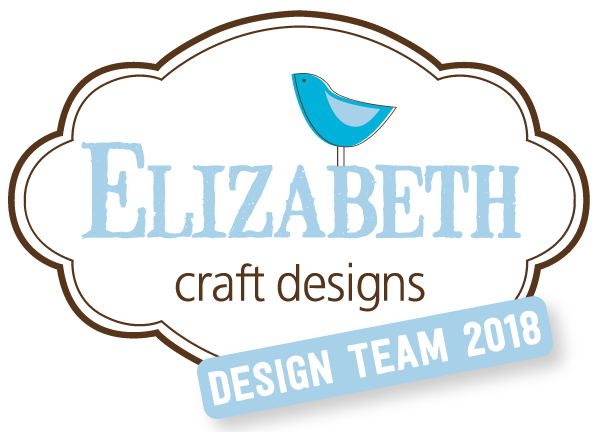 - as we all know when it comes to craft supplies snail mail seems to take even longer!) and I finally got to play with them over the last few days. I managed to make four cards using the Succulents stamp set and Best Ever Greetings stamp set. I based these cards on the (CAS)E this Sketch challenge which I missed the deadline to play for (I knew I would...) but it was such a great sketch for these stamps and I needed a little bit of inspiration to get me in to a creative mood. Here is the sketch and a direct link to where I should have linked the photos if I had finished these cards sooner and posted this blog!